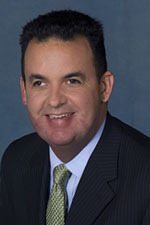 Carlos Perez-Abreu is a founding member and managing partner of PAAST, P.L. He has over 20 years of experience providing accounting, assurance, consulting, forensic accounting, litigation support and tax services to clients in a variety of industries. Carlos has also worked on numerous forensic accounting and fraud auditing engagements and has provided expert witness testimony for several cases. As managing partner, Carlos leads the firm toward the achievement of its strategic vision, oversees day-to-day operations, and implements policy decisions. Due to his diverse background in public accounting, Carlos has been invited to lecture at the University of Florida, Cuban-American CPA’s Association, Alpha Kappa Psi Florida Gold Coast Alumni Chapter, and the annual Deposit and Lending Compliance Seminar hosted by PAAST. He has also been quoted in Miami Today News. Carlos stays current on topics relating to public accounting and financial institutions by frequently attending conferences and seminars provided by the American Institute of Certified Public Accountants (AICPA), Florida Institute of Certified Public Accountants (FICPA), and Cuban American Certified Public Accountants Association (CACPA), which allows him to stay current on topics relating to public accounting. He is a former member of the AICPA Technical Issues Committee. Prior to starting his own public accounting firm, Carlos was the manager of the Audit department of a large regional public accounting firm.